I'll be honest: I just clicked on the first Mexican restaurant in my search results and... holy mole. Well, not mole, because they were out of it--but they quickly got in touch and made a substitution. Listen... fellow wonderbreads. The spice level is super authentic. Ya feel me? My Anglo Saxon mouth could not handle it. But I kept eating anyway. Because it was that delicious. I washed the fire down with tears and an horchata so big it came in its own bag. 5/5 do recommend. Hope I can try their mole next time. Definitely one of the better Mexican joints in the area. The only complaint I have is the rice is a little too plain for me. I especially recommend the steak tacos and the nachos. Delivery time is usually pretty fast too. The longest it's taken for my food to get here was about an hour, but that was during Friday rush hour. Most of the time it takes 20-30 minutes. Best tacos! I always get the chicken tacos with onions and cilantro. They have a creamy version of salsa verde that is sooooo good! Frijoles are so flavorful and not too thick. My favorite Mexican restaurant. My go to spot for tacos. I probally order from here to much. The food is that good. Delivery is always super fast and the drivers super awsome. I tell everyone about this place, and they all love it to. I thought I'd give this place a try tonight, and I love their food!! It's authentic and they give generous portions, plus it's delicious! If you're looking for Mexican food, I highly suggest this place! 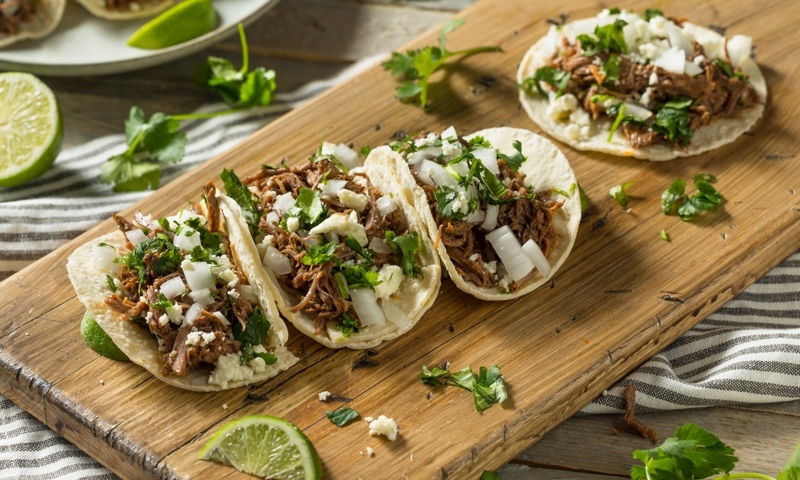 Whether you're craving a quick bite or looking to treat yourself to a delicious meal, you can now order your Tacqueria los Flacos favorites for takeout or delivery.